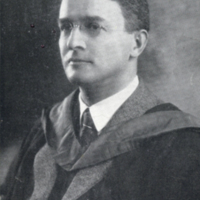 Stanley took over the presidency of Dalhousie in 1931 and guided the largest Maritime University through the lean depression years. 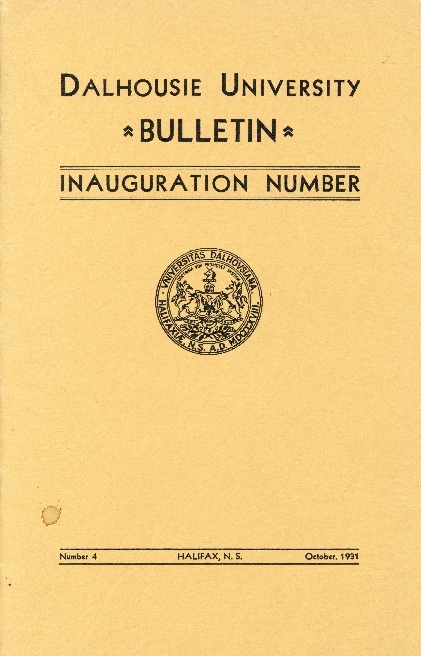 The high standards of Dalhousie professional schools were maintained and raised during the period. 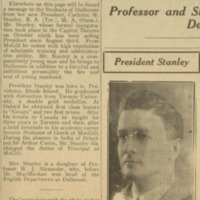 After a series of disagreements with the Dalhousie Board of Governors, Stanley was dismissed in 1945. 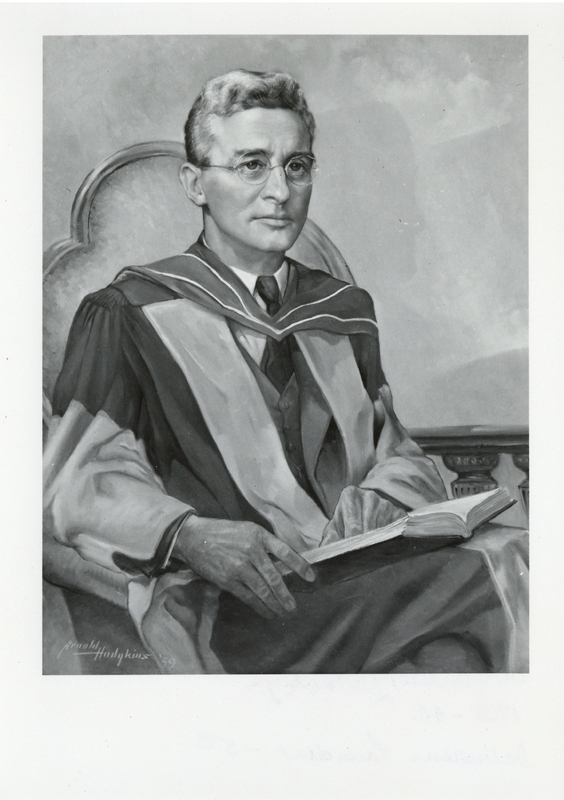 He moved to Winnipeg where he joined the English department at United College. 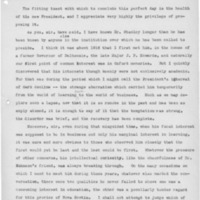 He left this position in 1953 and moved to Uxbridge and then Aurora, Ont. 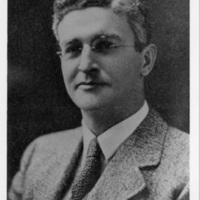 He died in 1971. 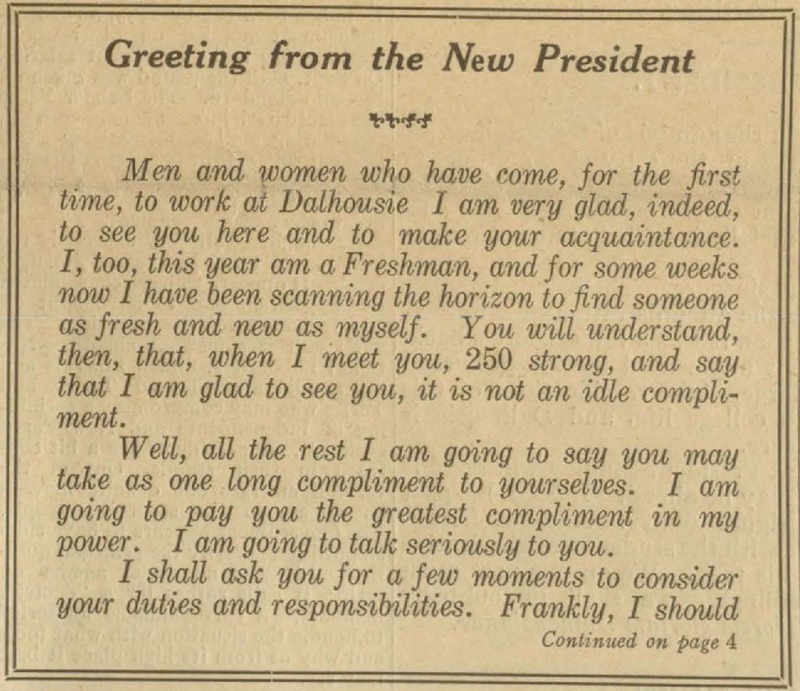 The bulletin from Carleton Stanley's inauguration as Dalhousie's president, including copies of the addresses given at the event.